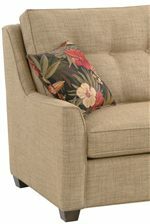 This upholstered accent chair features a traditional style with a fresh contemproary look. While modern track arms and low set wood feet, grant this chair a new-age element, classic button tufted details and exposed wood accents create a traditional look with a timeless classic elegance. Plush seat cushions with welt cord borders complete this chair with a comfortable place to sit, perfect for living rooms, family spaces or dens. Coordinating with casual, traditional and modern contemproary designs, this classic accent chair can be purchased with or without its coordinating sofa. The 745 Traditional and Modern Upholstered Accent Chair by Vendor 10 at Becker Furniture World in the Twin Cities, Minneapolis, St. Paul, Minnesota area. Product availability may vary. Contact us for the most current availability on this product. This upholstered living room collection features a unique furniture style that combines traditional furniture with contemproary furniture for a fresh, up-to-date look that also blends well with the classics. Featuring a sofa and chair as well as an un-pictured ottoman, loft sofa and swivel glider, this collection is sure to bring a cultured appeal to living rooms, dens, family areas and gathering spaces. The 745 collection is a great option if you are looking for Transitional furniture in the Twin Cities, Minneapolis, St. Paul, Minnesota area. 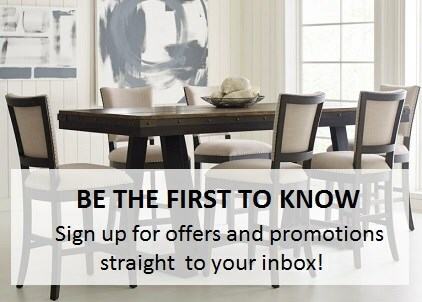 Browse other items in the 745 collection from Becker Furniture World in the Twin Cities, Minneapolis, St. Paul, Minnesota area.